Today, we’re taking a closer look at calming techniques and transition strategies that can help prevent tantrums in kids. 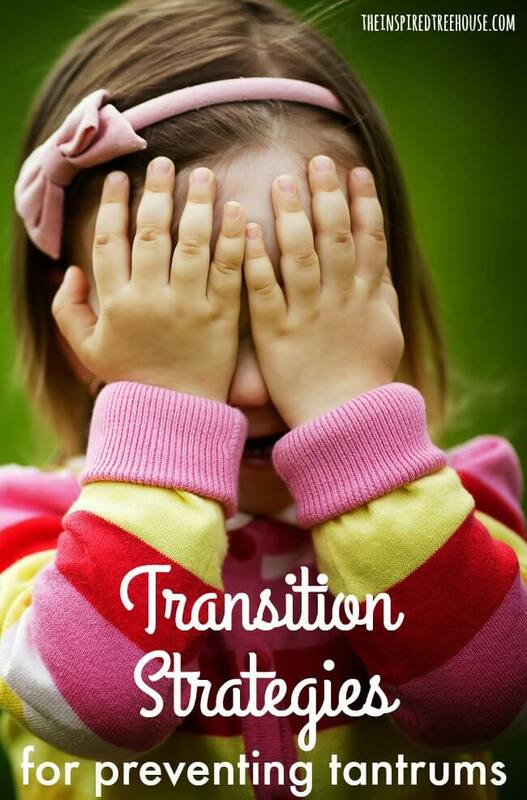 If you’ve worked with kids for awhile, you know all about transitions and transition strategies and calming techniques during transitions…those little magic tricks that creative teachers, therapists, caregivers, and others have invented to help prevent tantrums and promote self-regulation when kids need to move from one activity to another throughout the day. Like when we have to leave those beloved Legos behind in the morning to go to school or when it’s time to leave Grandma’s and they just don’t want to go home! 1 || Make it clear to the child how much longer the activity will last. Offer a set number of turns with the activity before moving on and then count them out clearly (e.g. 10 more pushes on the swing, 3 more turns with the toy, etc.). Give lots of warnings for how long the child has left to participate in the activity. 2 || Make sure the child knows and understands what is coming next and give her something to look forward to! Picture schedules are perfect for this. Set up a visual schedule showing the child several steps of her day (e.g. get dressed, brush teeth, eat breakfast, go to school) either in pictures or, if your child can read, using words. This Visual Schedule Planner app looks awesome too. Try to alternate between non-preferred and preferred activities so that the child sees that she has positive things to look forward to throughout the day. As much as you possibly can, stick to your schedule like glue until it’s an easy routine for the child. If a child is struggling a great deal with transitions, try breaking it down into even simpler terms with a “First…Then” chart, showing that first the child must complete one activity before moving on to a more preferred activity. You can find pictures of common everyday activities on sites like do2Learn, or if you have access to Boardmaker, you can find pretty much any picture under the sun. 3 || Use a transition object or toy. Sometimes, bringing a favorite object along for the transition is comforting for a child. Frequently, when I pick kids up to bring them to therapy groups, they will be playing with a favorite toy (cars, trains, blocks). Whenever I can, I allow the child to bring one of whatever they’re playing with along for the walk to therapy. We make a special place for them to “park” their toys during therapy and they can pick them up when they’re finished. This also works for the bathroom – they can park their toy in the hallway outside and pick it up on their way back to class. I use this one with my kids at home on a daily basis. If they’re playing with Lego bricks and we have to run to the store – they can bring one Lego guy or vehicle along for the ride. Easy! Try using a special toy, book, or other object that can be designated for use only on the bus ride to/from school if these are a difficult times of day. Sometimes this is all it takes! 4 || Practice the art of distraction. I learned this calming technique from a true master of childcare…my grandmother! Staring into the face of a potential tantrum because your therapy session is over and it’s time to go back to class, or because you’re at the park and it’s time to go home? Out come the bubbles! Yep…throw a little container of bubbles in your purse, pocket, or therapy bag and you’re in business. Can your kiddo stomp bubbles all the way to the car? Can they run through the bubbles to get all the way to the therapy room? Works like a charm. Singing also tends to work wonders for distraction during transitions as well as movement activities that get you from point A to point B (e.g. “Can we hop all the way to the sink to wash our hands?”). I often hold my kids under their arms and “jump” them all the way to therapy (or the bathroom, or wherever else we need to go)! Or, we’ll play catch with a bean bag or bat a balloon back and forth as we move through the hallway. Lots of smiles and lots of successful transitions! Have a child who struggles with transitioning in the hallway with his class? Bring along a big building block or other object to use as an obstacle. Place it on the floor and have the whole line of kids jump over it as they pass by – bring it back to the front of the line and repeat! Bring along a jump rope and have the entire line limbo under it or jump over it as they walk by. 5 || Make a sensory “pit stop”. At our school, we have a mini trampoline strategically located in the hallway – actually, we just have no space so there’s nowhere else to keep it :) … but it actually works to our advantage. When kids are transitioning to the gym or to and from the bathroom or even to get on the bus at the end of the day, they can stop off with an adult to jump for a few minutes. This could work with any sensory activity. 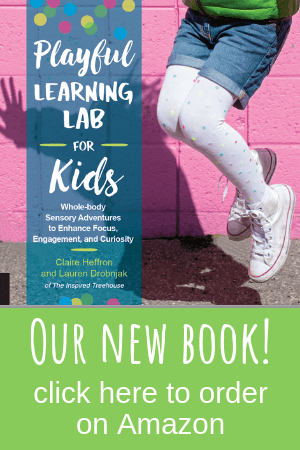 If there’s a place in the hallway to leave a tactile bin, a few resistance bands, and a container of Theraputty – this is a great opportunity for kids to do a little “sensory drive-by” as they transition in the halls and it’s usually a good motivator too! Try these heavy work activities for small spaces. 6 || Have a consistent way of signaling that an activity is over. Try singing a consistent song that lets kids know that a transition is coming – like a “Line Up” song or a “Clean Up” song. In some classrooms where I work, the teacher simply puts on a CD with kids music to let everyone know that it’s time to transition to the carpet for circle time. In other classrooms, they turn off the lights to show that one activity is ending and a new one is beginning. If there is a specific kiddo who is struggling with transitions, make it his job to turn off the lights, turn on the music, or lead the song. I also have a lot of kids that simply like to make sure all of the pieces of the activity are cleaned up and put away before we can move on to the next thing. I think they like the feeling of completion and the clear indication that the activity is really over. All of these ideas can work at home too! Sing or play a specific song to show that it’s time to get dressed in the morning or time to get in the bath. Check out this Bedtime March to motivate little ones to head to bed! 7 || Make “wait” time less miserable and confusing. Wait time: every kid’s worst nightmare. It’s boring, it’s confusing, and it’s usually kind of abstract. Kids hate it. My best advice is to minimize the amount of time kids spend waiting for the next activity to begin (see #10 regarding being prepared and organized!). On the flip side, sometimes having to wait is inevitable. Why not give kids some tools to make it a little more bearable? 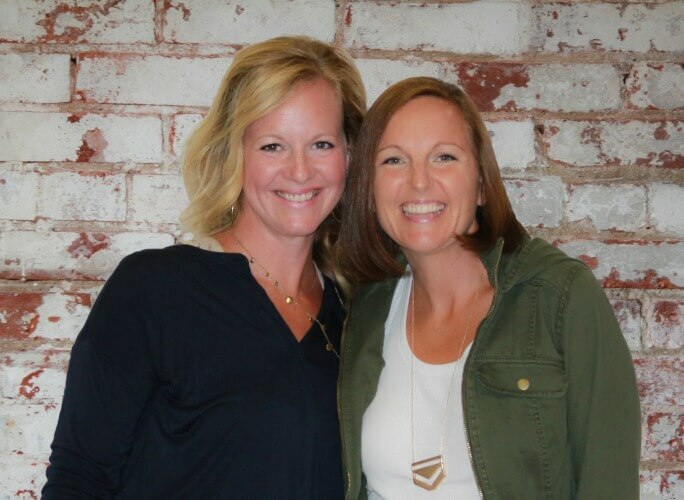 One of my favorite speech therapists used to sing the “Waiting Song” (a comforting little tune she made up herself) to kids who were getting restless all lined up at the door waiting to go out into the hallway. Movement breaks and sensory activities like the ones discussed in #5 are also great time fillers. Fidget toys and simple hands-on tasks (e.g. beads for stringing, adapted books, this cool fine motor threading activity, and this fun fine motor task) are also great tools for keeping little hands busy during downtime, whether you’re at home, at school, at the doctor’s office, or sitting at a table at a restaurant. Visual prompts are also essential for wait times. Again, a visual timer can work wonders to show that the waiting is almost over! Or try a simple visual cue or sign that says “STOP” or “WAIT”. 8 || Don’t rush it. If you know that a child is going to struggle with an upcoming transition, give him/her (and yourself) LOTS of extra time to make the switch from one activity to another. Most of these transition strategies take time, so make sure you leave yourself plenty of wiggle room. If you make it to your destination or get to the next activity early (hooray for you! ), refer back to #7 (waiting!). 9 || Practice makes perfect. Social stories are great for easing anxiety over new or difficult transitions. They allow kids to mentally “practice” the transition in a calm, non-threatening way. We use these in the classroom and then send the same social stories home for families to read in the evenings too. Patience is key. Kids aren’t going to learn to make new transitions unless they have consistent practice – sometimes for many days (or weeks). 10 || Consistency, structure, and organization are key! My favorite motto when it comes to working with kids…be prepared! 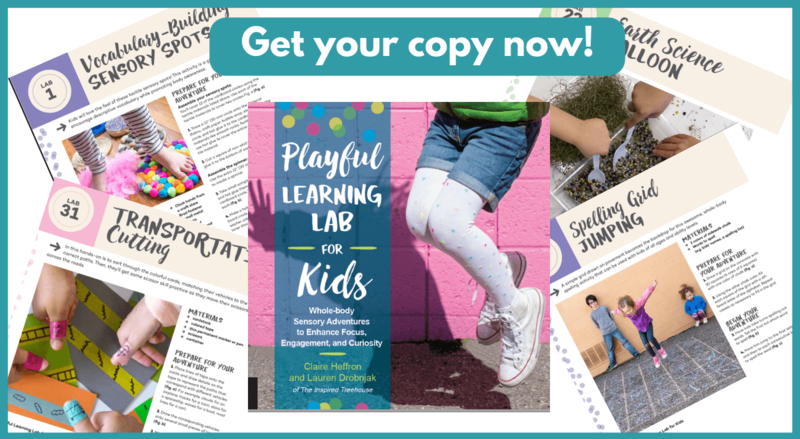 Lulls in the action, waiting time, lots of shuffling around of papers/materials are all great ways to lose kids’ attention and invite problem behaviors. The teachers and parents I’ve seen who have the best success with transitions are the most structured and consistent. Shoot for making the same set of transitions at the same times throughout the day as much as possible. This creates a comfortable backdrop for introducing new activities and transitions when necessary. Clearly defined spaces and work areas also help. For example, try a specific area for homework at home, or a specific place where the child can find his clothes and get dressed in the morning. In the classroom, our teachers paint shapes on the floor or use tape marks to show kids where to line up. They also have defined spaces and activities for kids who finish snacktime early (e.g. puzzles or books on the carpet, sensory table, etc.). What are your favorite calming techniques and transition strategies to use with kids? Leave them in the comments below! Looking for other calming strategies and techniques? Check out these Calming Sensory Strategies for School. These Calming Games and Activities for Outings are great to keep in your back pocket. This just might be the simplest calming sensory trick of all! Try some calming breathing techniques for kids. And learn some of our favorite calming movement ideas here. Check out our DIY Calm Down Kit. And don’t miss these Sensory Ideas for When You’re On-The-Go! Want to share this information with others in a handy printable format? We’ve got you covered! Grab the 99 cent download now! Thank you for this article. I just left an Iep meeting and needed to explain to the parents how we can work on improving their son’s transitions and this does it in an easy to read format. I am horrible with number 1 – Me: “Five more minutes kids” Me: Starts getting involved in something else and 10 minutes goes by! Whoopsie. Great strategies for helping with transitions. These are perfect for the school environment or anywhere! I think your last tip, especially about consistency, is a good point. While it may be easy for adults to transition throughout the day, kids are not a huge fan of change and tend to resist it. By making their changes consistent, as well as any transition habits you pick up, you can save yourself and your kids some stress. Thanks for sharing the tips! 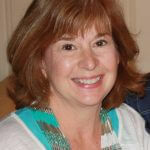 EXCELLENT resource for therapists, teachers, and parents. 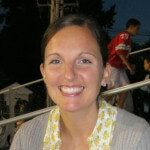 Sounds like GREAT information for the next Webinar!!?? I love all the suggestions for apps- will be checking these out! Thanks for such a comprehensive list of suggestions! This is fantastic! I will definitely be adding it to my toolbox. Thank you for the printable too, so helpful! my boy is four and last night I was having trouble getting him into the bath, eating toast too slowly. In the end he shouted at me saying “but mummy you are not patient enough”. I calmed down and said yes maybe your right but you need to hurry up a bit more. luckily I do calm myself down quickly when he winds myself up which also makes the whole situation worse if I am am annoyed. These tips sound great! So far I’ve used timers and with my 3 yr old it works almost every time. When he doesn’t want to end an activity he tells me, “Set the timer!” Lol. And it definitely helps if he knows what is next, but rather than continuing to verbally tell him, I think I will try one of the visual ideas mentioned here. I can even put him in charge of reminding me what is next! Lol. I think he would have fun with that. The title of this article is a bit misleading. These are all strategies for parents and caregivers to create experiences that reduce the chance of conflict around transitions. However, the title reads as if it is tips and tricks for the children to take up. This advice could be very useful for teaching kids how to handle situations in which they are not given warnings, etc. While useful to know, it is not what I was looking for. It’s good to know how to help kids transition between different grades and things. My son needs to start going to kindergarten. I’ll be sure to find a toy that he can bring with him to calm him down! 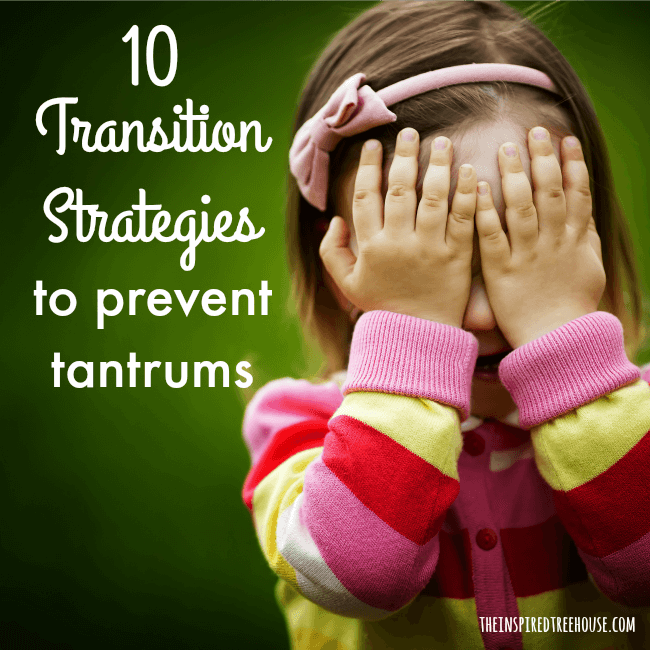 Thank you for sharing these tips on how we could apply to our kids who will throw tantrums in the future. We could teach them in a proper way to keep their attitude in the right place and to not use it all the time. It really helped when you said that we should consider practicing the schedule since most kids learn to adjust with repetitive actions. With that in mind, I will start having my child wake up at a specific time of the day, and I will also take him to different play centers. This will help him learn to meet new people every day. We just need to prepare him as early as now because he has a very timid personality like his dad. My child is transitioning from an older toddler to a preschool room. I am a preschool teacher at his school, but not his. the other preschool (his room) connects through a bathroom to my room. He is well aware of this. He has never been an emotional child. during this transition he has just been crying at the door begging me to comfort him. I need help please! Thanks for this wonderful piece of information. it was very helpful to me.